Why did Milton Friedman win the Nobel Prize? The citation for Milton Friedman’s Nobel Prize of 1976 points to three contributions. In two cases, the principal works the Committee must have had in mind are easy to identify. The question of what was intended by the third – ‘his demonstration of the complexity of stabilization policy’ – is considered. It is argued that, contrary to what might be suspected, this does not refer to any work on the Phillips curve; but the work to which it does refer is identified. The reasons that particular work is less well-remembered than the other work mentioned in the citation are considered. 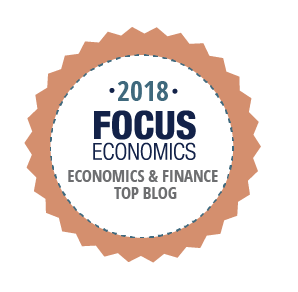 Why Nordhaus and Romer deserve the Economics Prize for 2018? 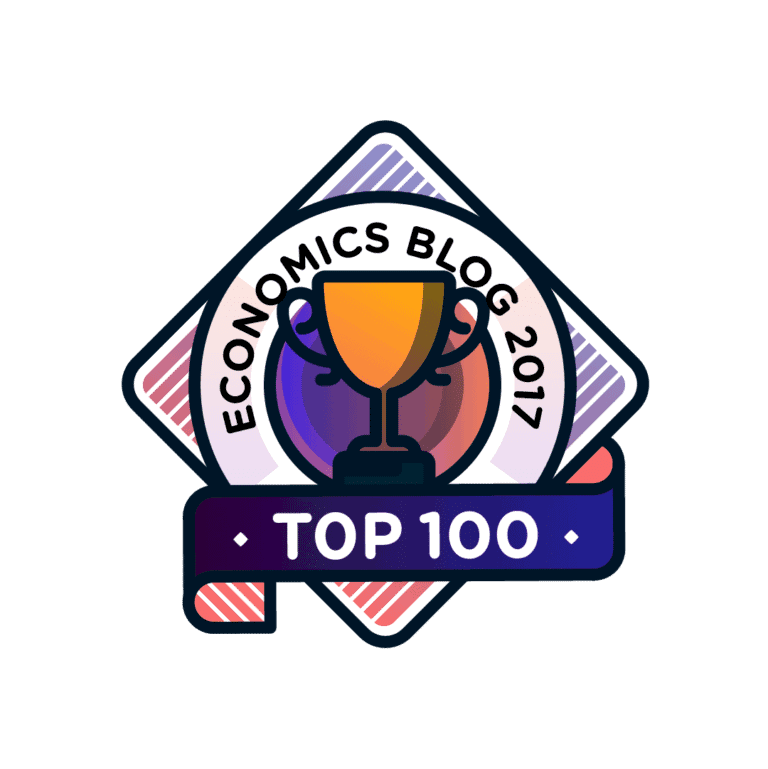 My 2 paise on the economics prize for 2018. 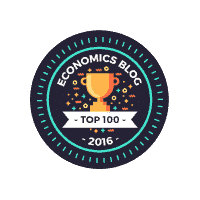 I cannot help but reblog this article I wrote reflecting on last year’s Economics Prize. The recipient was Richard Thaler for his amazing and inspirational work on behavioral economics. His Nobel lecture is really inspirational on getting ideas and then pursue them despite all adversity. Thaler even mocked himself saying on completing his thesis, his adviser famoulsy said:” We didn’t expect much of him”. I am still amazed how little we learnt from Pigmy Deposits gives our focus on financial inclusion. It helped open bank accounts across the region, encourage savings, mobilise deposits for the bank and most importantly generated enormous trust amidst bank’s customers. It was a huge win-win for all the stakeholders. But still never got the traction it deserved.. Both were on the wait list for a long time. More links to follow. Nobel guys will put up a lot of basic info. Just in one and a half hours, we are going to learn of the recipient of ‘The Sveriges Riksbank Prize in Economic Sciences in Memory of Alfred Nobel’ for the year 2018. Now that the Nobel Memorial Prize for economic science has been created, one can only be profoundly grateful for having been selected as one of its joint recipients, and the economists certainly have every reason for being grateful to the Swedish Riksbank for regarding their subject as worthy of this high honour. Yet I must confess that if I had been consulted whether to establish a Nobel Prize in economics, I should have decidedly advised against it. One reason was that I feared that such a prize, as I believe is true of the activities of some of the great scientific foundations, would tend to accentuate the swings of scientific fashion. This apprehension the selection committee has brilliantly refuted by awarding the prize to one whose views are as unfashionable as mine are. I do not yet feel equally reassured concerning my second cause of apprehension. It is that the Nobel Prize confers on an individual an authority which in economics no man ought to possess. This does not matter in the natural sciences. Here the influence exercised by an individual is chiefly an influence on his fellow experts; and they will soon cut him down to size if he exceeds his competence. But the influence of the economist that mainly matters is an influence over laymen: politicians, journalists, civil servants and the public generally. There is no reason why a man who has made a distinctive contribution to economic science should be omnicompetent on all problems of society – as the press tends to treat him till in the end he may himself be persuaded to believe. One is even made to feel it a public duty to pronounce on problems to which one may not have devoted special attention. I am not sure that it is desirable to strengthen the influence of a few individual economists by such a ceremonial and eye-catching recognition of achievements, perhaps of the distant past. I am therefore almost inclined to suggest that you require from your laureates an oath of humility, a sort of hippocratic oath, never to exceed in public pronouncements the limits of their competence. Or you ought at least, on confering the prize, remind the recipient of the sage counsel of one of the great men in our subject, Alfred Marshall, who wrote: “Students of social science, must fear popular approval: Evil is with them when all men speak well of them”. Wish Hayek had declined the economics prize with these words! That would have set a benchmark of sorts.. I will spend it irrationally! Talk about wit and Richard Thaler definitely has it. He as is widely known by now is the recipient of the The Sveriges Riksbank Prize in Economic Sciences in Memory of Alfred Nobel 2017. He was asked that how would he spend the Prize money and he nicely said” I will spend it irrationally!” This article on how he came about doing behavioral work is interesting. It is not a prize gives as per Alfred Nobel wishes as is still presumed by many. Infact the prize came as a result of the tiff between the central bank and the government over policy decisions. This blog was initially excited by these prizes but not anymore. One has realised the follies of the Economics Prize and is not at all in the league of the other Prizes in Sciences. Infact it has made the entire subject suffer from even more hubris and arrogance. But to see the 2017 Prize being given to Richard Thaler does bring a smile. After all, he is one of the few who has questioned this edifice of economics built so strongly on neoclassical economics. 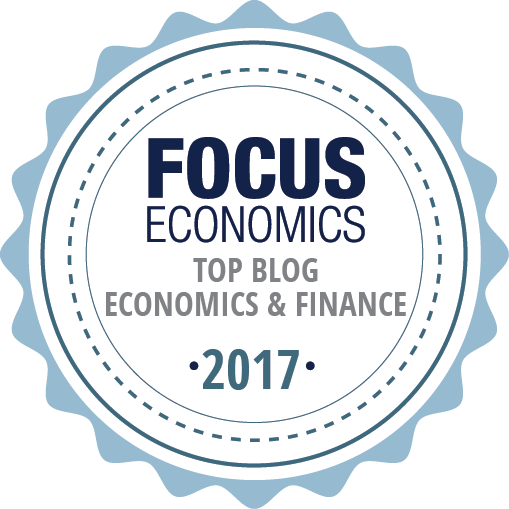 This blog has for long been a fan of behavioral economics as it provides an alternate way of thinking. It is something which one sees more often around us with people being so predictably irrational. The rationality model as is often taught and on which much of economics is built, is hardly there to see. Likes of Thaler have been advocating Nudging units which will try and tilt policy to a more favored outcome. The idea is people are anyways being nudged into making choices so why not nudge them into the right choice? Some countries have set up their units as well (like in UK) and doing fair bit of research on these matters. But then taken to an extreme this could be behavioral economics undoing as well. As the question is who decides what is the right choice? We are back to full circle debate between government fiat and private choices. The debate between libertarians and libertarian paternalism is far from settled. The beauty of behavioral economics was pointing to this unpredictable human being and its irrational ways. At some level we have to accept it and let people learn from mistakes. Too much tinkering with this behavior could lead to all kinds of unintended consequences and put us under similar predicament as in a neoclassical framework. As behavioral economics continues to become popular and more so post this prize, it has to guard itself against this very popularity. Having said all this, will behavioral approach become part of economics curriculum? The Prizes in 2002 and 2013 for behavioral work have not been able to change the curriculum. It remains to be seen whether 2017 will make some impact. We surely need plurality in economic thinking and introducing behavioral economics should have already been done. It beats you why it remains an elective in most colleges. One obvious problem is there are not many professors around who can teach the subject. 70 years of John Bate Clarke Medals: How do you define excellence in economics? Didn’t know this really. Avner Offer and Gabriel Söderberg have written this new book: The Nobel Factor: The Prize in Economics, Social Democracy and the Market Turn. What would have happened if Mises was the Nobel Prize winner? Perhaps we would have lesser case of economic planning says Karl-Friedrich Israel in this article. Though if the list of awardees remained same post Mises getting it in 1969, likes of Mises would have opted out of the list rather than remain there..
Don’t let the Nobel prize fool you. Economics is not a science..
One of my Profs always says Blame the Swedes for all the mess in economics. First, having created the prize for economics from thin air and then each year giving it to scholars from select Universities, they have just ignored contributions of so many others. Moreover, it has fostered hubris and enormous amount of belief that the subject is indeed a science. The Prize afterall is in Economics Sciences.. There was a time when this blog used to get caught in the Prize fever. This time it did not even realise that this year’s award has been announced. Not sure whether this explains maturity of the blog or it has become too old to remember. It is though ironical to be distributing all these Prizes in economics given the state of economics around the world. Though this year’s prize is different. This year’s Prize is an interesting one . Given to Prof Deaton for his work on “analysis of consumption, poverty, and welfare”. I mean till all this crisis, these terms had disappeared from economics lingo. No one cared much about these old historic economic issues of consumption, poverty, and welfare barring the development economists of course. Now because of inequality and Piketty people have again started to talk about these issues. How do consumers distribute their spending among different goods?Answering this question is not only necessary for explaining and forecasting actual consumption patterns, but also crucial in evaluating how policy reforms, like changes in consumption taxes, affect the welfare of different groups. In his early work around 1980, Deaton developed the Almost Ideal Demand System – a flexible, yet simple, way of estimating how the demand for each good depends on the prices of all goods and on individual incomes. His approach and its later modifications are now standard tools, both in academia and in practical policy evaluation. How much of society’s income is spent and how much is saved? To explain capital formation and the magnitudes of business cycles, it is necessary to understand the interplay between income and consumption over time. In a few papers around 1990, Deaton showed that the prevailing consumption theory could not explain the actual relationships if the starting point was aggregate income and consumption. Instead, one should sum up how individuals adapt their own consumption to their individual income, which fluctuates in a very different way to aggregate income. This research clearly demonstrated why the analysis of individual data is key to untangling the patterns we see in aggregate data, an approach that has since become widely adopted in modern macroeconomics. How do we best measure and analyze welfare and poverty? In his more recent research, Deaton highlights how reliable measures of individual household consumption levels can be used to discern mechanisms behind economic development. His research has uncovered important pitfalls when comparing the extent of poverty across time and place. It has also exemplified how the clever use of household data may shed light on such issues as the relationships between income and calorie intake, and the extent of gender discrimination within the family. Deaton’s focus on household surveys has helped transform development economics from a theoretical field based on aggregate data to an empirical field based on detailed individual data. Just scroll the page for more resources..
Kuznets Nobel medal up for auction! It seems Nobel Prize winners are fed up of their medals. After Prof James Watson’s decision to auction the medal, another one is up for grabs. Jean Tirole is perhaps the closest a Prize winner has been to Graduate/PhD students…. You can hate him but just cannot ignore him. The Prize for 2014 has been given to Prof Jean Tirole of Toulouse 1 Capitole University. There were two reactions from my friends. First said never heard of him and second had perhaps only heard of him. The first one is working in the elite finance industry and second is a PhD student in economics. I mean why would a finance professional be interested in anything but markets and how can a PhD student ignore Jean Tirole? Doing a PhD, the name Tirole keeps coming to haunt you quite often. His stamp on the subject is so vast that you just cannot avoid him in your coursework. He has written textbooks specifically for PhD students in industrial organisation, game theory, finance, banking etc and are hugely recommended. If this is not enough, his large number of papers are obviously there. The sheer work he has produced makes one scratch his/her head if all this is real or surreal? And then most of his papers/books are not for the faint hearted. The struggle to get through a few pages is an enormous task given the math and complexity involved. So a really interesting choice. As this second friend said- this is the closest a graduate student has ever felt to the prize winner. Most of the time, even graduate students do not know the works of the choices in a given year unless you have specialised in the area. But with Prof Tirole this is a rarity. If a Phd student has completely missed Prof Tirole then either he/she is lucky or needs to redo his coursework. Prof Lawrence Klein passed away on Oct 20. K@W pays a tribute to the giant econ who as per one faculty, should have won “the prize” twice. Can we predict asset prices even over a long-term? The committee releases superb summaries of works of winners of “The Prize”. This year is no different. I have so far only read the popular version as adv version is too detailed. There you go….Fama and Shiller finally along with Peter Hansen “for their empirical analysis of asset prices”. Well, just a few days back I said who knows Fama might get the prize this year. And he did..
Nobel Peace Prize vs Prize for Economics..
Two articles favoring one over other. First by Edward Hadas of Reuters who says 2013 Nobel Peace Prize winner (Organisation for the Prohibition of Chemical Weapons) should chasten economists. Second by Mathew Klein of Bloomberg who says econ winners have a better track record than peace winners. Prize in economics in memory of Alfred Nobel – 2013 ..Predictions.. Thomson Reuters releases its annual predictions for 2013. The committee has been awarding the prize foe hot issues of the day. Let’s see what is the pick for this year..
A course in economics which should be tried at other univs/institutes..
Tyler Cowen points to this interesting link of a course description in economics. It is a course by Prof. Marek Hlavac (of Political Economy and Government) at Harvard. The course is about studying the key ideas of Economists that won The Prize.